Those must be some good pies. If you think the lines at airports and train stations are bad on this busiest travel day of the year, check out the wait for a pie in Brooklyn. The line for the delectable pastries over at Four & Twenty Blackbirds on the corner of 8th Street and 3rd Avenue started at the door and stretched all the way down the block as the sun came up this morning. Yes, the pies are just that good. Renowned for their salted caramel apple, bittersweet chocolate pecan, bourbon sweet potato and honeyed pumpkin pies, the bakery asks that customers respect a 3-pie per family max (sorry, you can't try them all!). Given the demand, they'll be selling whole pies and coffee only. Doors open at 8 a.m. and the four aforementioned best-selling treats will be available today and Thursday until they sell out. If you are craving something sweet this summer, we know just the place to go! Join us as TastingTable.com's national editor takes us inside the latest Brooklyn hot spot, Four and Twenty Blackbirds. And you better move fast. 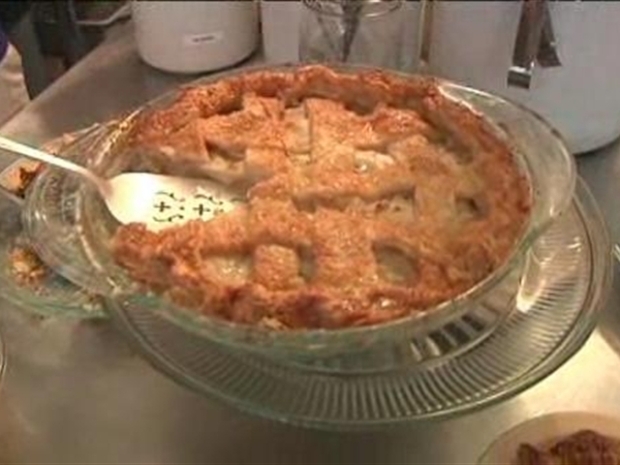 On Tuesday, customers started lining up at 7 a.m.; the store sold more than 100 pies in less than two hours and proudly proclaims on its website that it completely sold out.